Ships from Hong Kong. Beautiful decorative fruits. Perfect for play or kitchen decoration. Awesome gift item. Made of hard foam and plastic. These Artificial Fruits are made from Compressed Styrofoam with a Plastic Coating. 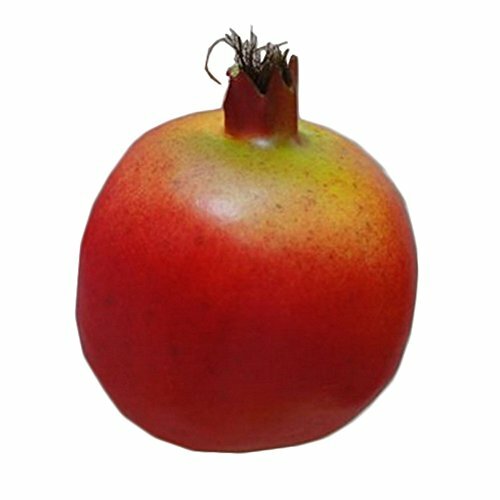 Package includes: 2 × pomegranates.